The persistence of cordial relations between the pro‐socialist nations and North Korea can't be defined by the contemporary international politics but be explained by both countries’ membership in the non-aligned movement (NAM), comradeship and shared solidarity with the Soviet Union during the 1950s and 1960s when the rest of African continent on its grave moment trying to fight its freedom and Sovereignty. Despite U.S. continuously brokering UN security council to demilitarized North Korea and cut off trade with every country which trades with the DPRK. The realities of the international economic system make such a policy almost as self-destructive not only to the axis of pro communist nations but it also will render a suffocation on United States's economy, since U.S operates in a global environment and cutting off trade with a country like China and Russia respectively which Americans claiming that they hiring North Korean workers, this is almost impossible to achieve such an objective; and is certainly not desirable. Both the Russians and the Chinese are willing to pursue stronger sanctions against the DPRK in return for a cessation (or at least a reduction) in the war games which are taking place around Korean pensula and limit on the installation of more THAAD systems into the region. What is most important, they say, is that the U.S. engage in a dialogue with the DPRK to see if there is any path to an accommodation of the divergent policies which could lead to a system which would lower the tensions in the area. This would be certainly welcomed by Moon of the ROK and by Abe, whose Liberal Democrats in Japan have been lobbying for a constitutional change to allow a more forward use of the previously Self-Defence Force. China is the major trading partner of the DPRK and has taken some small steps towards enforcing sanctions against the country. The PLA has been most upset by the installation of the several THAAD systems in the ROK by the U.S. The Chinese government worried that THAAD system can observe the activities of the PLA at the close distance. The PLA wants these removed or being turned off. Beijing needs some sort of assurance on this in return for concessions on sanctions against the DPRK. For many nations of the world the problems posed by the DPRK’s international pariah status are viewed as an opportunity rather than an impediment. For some nations, a close working relationship with the DPRK has been nurtured for a long period during the Soviet Union era and Korean war in 1950s. The DPRK has had a long and profitable relationship with Malaysian traders using the company Glocom, which exports DPRK small arms and communications equipment throughout Central Asia and the Middle East. 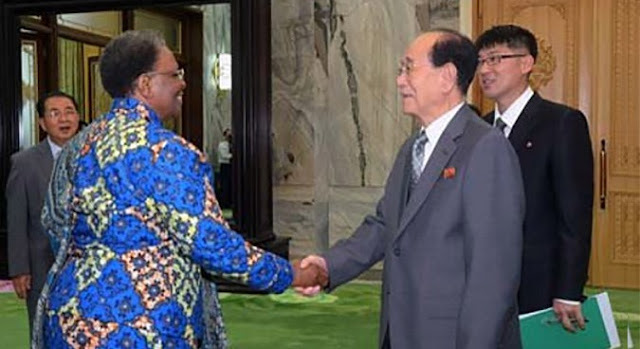 The DPRK has extensive relations with all prosocialist countries, especially in Africa like Equatorial Guinea, Angola, DR Congo, and Burundi, Namibia, Egypt, Algeria and etc. The DPRK’s relationship with DR Congo also sparked an international controversy recently when a UN report was leaked on May 16, 2016 revealing that Congo had purchased pistols from the DPRK in 2014 and recruited 30 North Korean instructors to work alongside the Congolese police and presidential guard. We must not forget that the African continent has benefited enormously from this brave nations including Namibia and Angola, when they were suffering from horrific apartheid regime imposed on them by South Africa supported by U.S and other western states. The DPRK gave in a sacrifice for taking part in the liberation struggle like in Angola ( in combat operations, alongside the People’s Armed Forces for the Liberation of Angola (FAPLA)), it fought in Rhodesia, Lesotho, Namibia (decisively supporting SWAPO) and in the Seychelles. It aided African National Congress and its struggle against the apartheid in South Africa. In the past, it had provided assistance to the progressive African nations, including Guinea, Ethiopia, Zimbabwe, Mali and Tanzania. 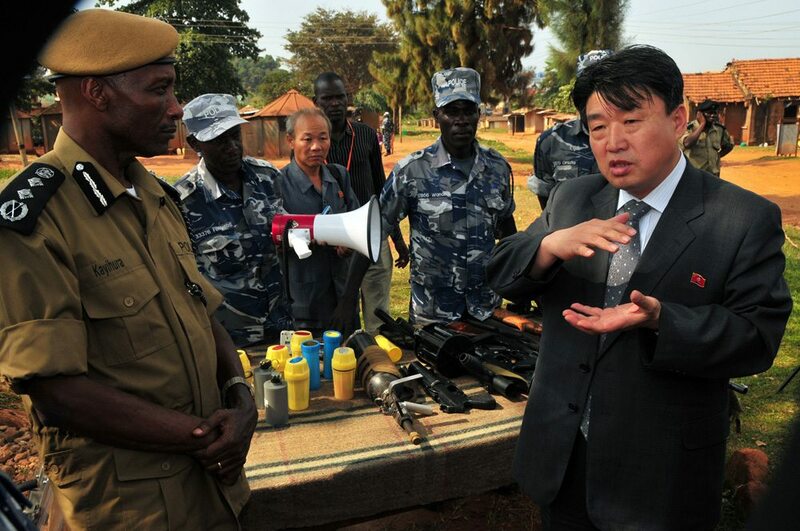 North Korea provided police training and special-protection courses across the continent, including Benin, Mozambique, Nigeria, and Zimbabwe (best noted for its training of the notorious Fifth Brigade). Pyongyang has also sold ballistic-missile and its manufacturing system to Libya. In 1950s North Korea seek alliance with other communist group and movements and led them military aid to repel all pro-capitalist regimes. North Korea was quite aware that an uprising against imperialism and anti-american sentiments will result into internal disputes in U.S homeland, so DPRK sponsored several Maoist terrorism and guerrilla activities in Latin America to create uneasiness for American domestic politics which eventually brought about infighting in U.S that led the withdrawal of US forces from Korean peninsula. In Egypt, for example, there has been a Cairo-Pyongyang axis growing since the days of Nasser when Kim Il Sung sent financial support for the closing of the Suez Canal by Egypt. Gamal Abdel Nasser assumed power in 1952 and quickly Cairo forged a close relationship with North Korea, the pact which still a consistent feature of Egypt’s Asia-Pacific strategy since the dawn of the Cold War.The DPRK set up an embassy in Egypt in 1961, and in 1967 offered military and financial support to Egypt in the Six-Day War along with military supplies to help Egypt and its proxies drive the British out of Aden. In the 1973 war against Israel, Egypt’s senior air force commander, Hosni Mubarak, used North Korean pilots to fly missions in Egyptian aircraft. 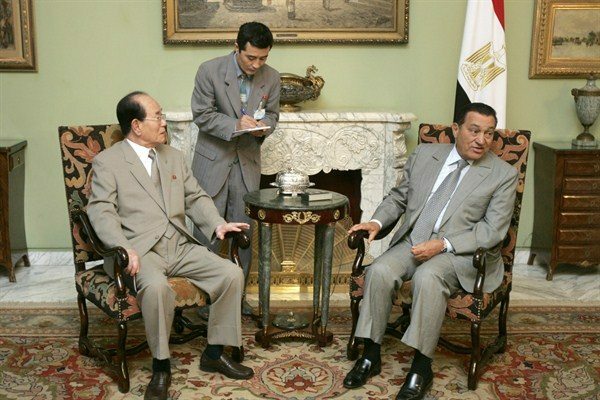 Mubarak made four visits to Pyongyang from 1983-1990 where he laid the foundation for Egyptian investments in the North Korean economy. North Korea has also been a critical supplier of military technology to Egypt since the 1970s. In 1975, President Anwar el-Sadat authorized the purchase of Soviet-made Scud-B missiles from the DPRK.The West never forgot nor ‘forgave’ the DPRK’s internationalist help that rendered to many revolutionary nations, made Pyongyang to pay so dearly. North Korean pilots were flying Egyptian fighter planes in the 1973 Arab-Israeli War, this part of world history has tarnished severely the diplomat relation between Israel, which never exist and will never ever be realised in future. The North Korean military aid to Cairo’s missile technologies that improved Egypt’s Scud-B missile production efforts. These missile procurements established long-term technical exchanges between two nations during the late 1990s and early 2000s. Now, with Iranian progress in producing missiles, Egypt is very anxious to continue to acquire more missile technology from the DPRK which will help it against its main enemy. Egypt is not the only nation in the Middle East with such a fall-back position of engaging with the DPRK if nuclear proliferation becomes an acceptable norm. In 2015 Abu Dhabi purchased USD $100 million worth of weapons from North Korea to use in the war in Yemen (according to a leaked memo from the US State Department.). The deal included a shipment of rockets, machine guns and rifles that were sent to Yemen to support groups loyal to the UAE in the conflict. According to the memo, the US State Department warned Abu Dhabi that North Korea would use the money from its arms deal to finance its nuclear programme. The UAE’s covert arms purchases from Pyongyang results from Abu Dhabi’s belief that North Korea is a potentially valuable missile system supplier in the world market and should be deterred from selling sophisticated military technology to Iran and Yemen’s Houthi rebels. As a result of Trump’s inclination to dissolve the JCPOA pact with Iran (which is widely believed to be about to happen) the UAE and other states in the region are preparing for the acquisition of missiles and nuclear technology to counter the expected rush towards competency by Iran, which now then relieved by JICPOA. The DPRK has not been restrained from delivering substantial quantities of chemical and biological weapons to countries around the globe. Of particular interest has been the deliveries of chemical and biological agents to Assad’s Syria (in addition to Scuds and surface to air missiles). In a confidential August 2017 report of UN experts to the Security Council the experts reported the delivery of prohibited chemical, ballistic missile and conventional arms by the DPRK to Syria. The report added that this was because of a long-term contract between Syria and the firm, KOMID. KOMID is the Korea Mining Development Trading Corporation blacklisted by the Security Council in 2009 and described as Pyongyang’s key arms dealer and exporter of equipment related to ballistic missiles and conventional weapons. In March 2016, the council also blacklisted two KOMID representatives in Syria. “The consignees were Syrian entities designated by the European Union and the United States as front companies for Syria’s Scientific Studies and Research Centre (SSRC), a Syrian entity identified by the Panel as cooperating with KOMID in previous prohibited item transfers,” the UN experts wrote. SSRC has overseen the country’s chemical weapons program since the 1970s. 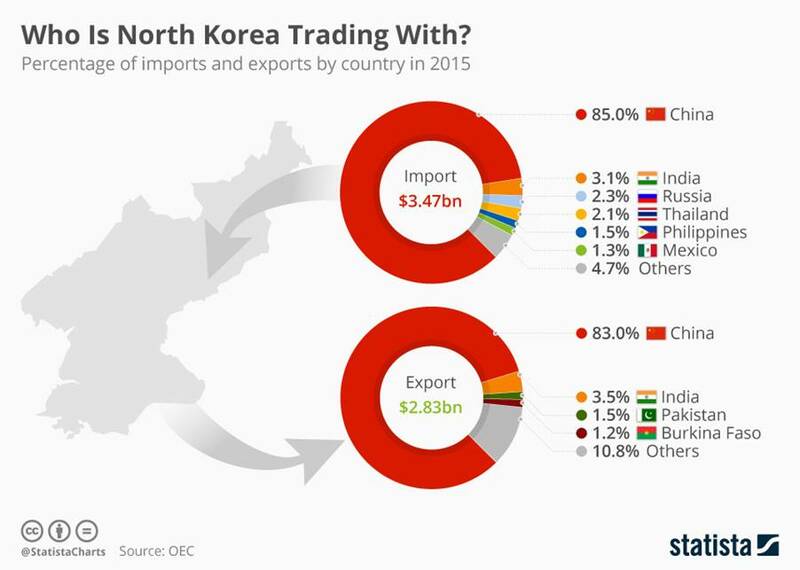 Although the bulk of DPRK trade is with China, there are a number of other countries with which it trades less clandestinely. North Korea trades with a number of countries which are anxious to retain their link. From 2007 to 2015, the value of annual trade activities between African states and the DPRK amounted to $216.5 million, higher than the average $90 million recorded from 1998 to 2006. In Sub-Saharan Africa the North Korea's military intervention begun in mid 1960s when rendered a combat support to the Umkhonto we Sizwe revolution in SA through a coordinated framework with China. North korea dispatched about 1500 troops to 3000 consists of special forces to Angola to support MPLA in 1984, to repel off the Portuguese. Pyongyang has built arms factories,national monuments in the Democratic Republic of the Congo, Ethiopia, Madagascar and Uganda. 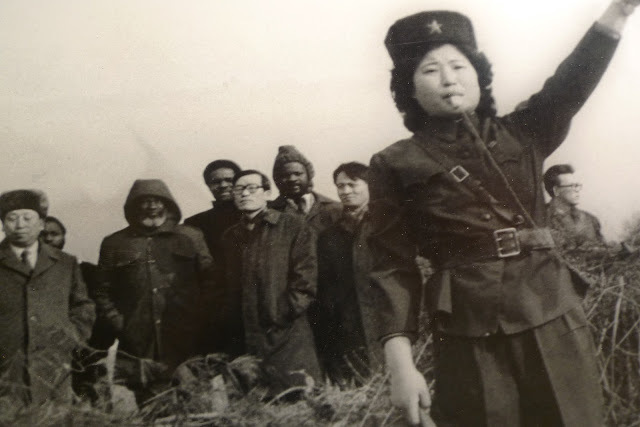 During the war of Namibian Independence, the DPRK provided significant support for the People's Liberation Army of Namibia (PLAN), the armed wing of the South West Africa People's Organization (SWAPO). Like many other pro-Soviet countries during the Cold War, the DPRK provided material aid and military training to the PLAN guerrilla fighters such as radio communication,guerrilla warfare,ideological propaganda,espionage and other useful military skills. From 1965 and onward many SWAPO members went to Pyongyang straight to receive these highly combative Maoist military tactics especially the member of Typhoon unit in SWAPO-military wing, were exclusively indoctrinated by North Korean military instructors in coordination with the Soviet Union. Although, in present neither country maintains an embassy in their respective capitals, but the relationship still cemented into blood of good Compañero, DPRK formerly had embassy in Windhoek,and closed down in 1994. Friendship between Namibia and Democratic People's Republic of Korea (DPRK), bore into blood of good comradeship not mere politics! Namibian Plan fighters and Koreans have shared trenches during the war of African Independence. We are saluting the people of Korea', although, at the moment there is international tension that escalation over North Korean nuclear testing. Most of North Korean companies are blacklisted under UN sanctions for earning foreign cash through illicit arms trades. Construction company, Mansudae is known for having built several state houses, statues and national monuments in Africa example African Renaissance Monument in Senegal. In Namibia, they have already built the national historical museum, Heroes' Acre and State House, and are busy with the Defence Headquarters and other important infrastructures. This led to Namibia being accused of violating United Nations sanctions against North Korea. Namibia have invested about N$1,3 billion through various construction projects since 2002. China’s Poly Technologies have become Namibia’s main suppliers of military equipment since early the 2000s, having equipped the Namibian Air Force with Chengdu F-7 and Hongdu K-8 fighter-trainers, as well as a large number of armored personnel carriers, amongst others. Because of the sensitivity of the matter, none of the UN experts contacted were willing to comment on the record, save to say that the challenge now lay in proving that Mansudae Overseas Projects (MOP) was in fact just a factotum for North Korean companies specified under the five different sets of sanctions imposed since 2006. According to André du Pisani,Professor Emeritus for Political Science at the University of Namibia alleged that North Korea never featured among the 30 countries where SWAPO had representation,. Instead, this relationship appeared to be based on the personal relationship between founding President Sam Nujoma, who is still the major force in Namibian politics, and the Kim family. However, i am here then to refute the professor 'André du Pisani ' that he could knew the whole true history relating to North Korea in supporting so-called international terrorist group during 1960s [cited] that fought African liberation and then later brought independence. Since the professor chose to side with the mainstream media and politics that pleasing the contemporary world, of course nowadays' politics is for bread and butter, and person of such magnitude like du Pisani can't risk the career and public status he holding by stating the true about DPRK and SWAPO relationship, because it might also jeopardize his future recommendation for possible noble-prize, if it been found out that he was narrating about the significant value of North Korea in African liberation struggle. The relationship with Namibia led to Namibia being cited as a violator of UN sanctions. Theoretically, Namibia halted relations with the DPRK in 2016, but Namibian newspapers bemoan the fact that DPRK technicians are still there. Officially, the Namibian Government announced that it had terminated the services of Korea Mining Development Trading Corporation and Mansudae Overseas Projects, but was cunning on the wording for relations between the two countries. Namibia now also faced questions as to how Mansudae Overseas was being paid by the Namibian government, as North Korea has been banned from participating in the international financial system under Resolution 1874. All told, Mansudae has been handed construction projects exceeding USD $100 million since 2002 - and it was unlikely they would have kept working if their North Korean masters were not being paid, sources close the matter said. The same source confirmed that the sanction-imposers have now focus their magnifying glass on the activities of August 26, other two key Namibian officials and their counterparts from North Korea who traveling via Kuala Lumpur in Malaysia, China and then North Korea as final destination. It is a heartfelt to see ourselves part-away with the North Koreans the same people who spilled their blood for our freedom. I retaliate that is very wrong to impose sanctions on the victim and not on the empire, which is responsible for million humans suffering in refugee camps all over the world and many innocent souls perished in the conflicts that presently rife in Iraq,Afghanistan and as else. The same imperialists of the past became political managers of nowadays UN's instrumentation who falsely preaching about peace and democracy. The war-profiteers wanted the political overhaul in North Korea, just like the way they been plotting rebellion for several decades without any succeed against the Cuban government, the island nations that don't even possess any nuclear weapon, but is under economic embargo. Anybody who tried to stand against the double standard of the west, had to be liquidated or either their nations being destroyed just like Iraq. The threat of DPRK is not about nuclear weapons which i perceived as self defense, but the real threat is about the historical revenge and anti-socialist stance that America constantly pushing to the corner through military aggression. Whenever Pyongyang seems to protect itself, the West declared such defensive reaction as an“illegal arming” U.S and Israel which both in possession with nuclear arsenals are the most danger to the world not the DPRK who refused to surrender up its independence and its political orientation to continue developing its defensive nuclear program. The West’s propaganda apparatus are very effective in spreading toxic fabrications, and then polluting entire planet with misinformation. This is the same time again the international institutions like UN instead of mediating they siding with the aggressors trying to “punish”, systematically discredit, even to liquidate the assets that belong to any country support or befriending North Korea.The whole world even dogs or cats that watch CNN,BBC and listening to the stream media are now fully convinced that the “North Korea is evil”, and Israel the illegal settlement that en-caved into Palestine' sovereignty which also possess nuclear weapon is being viewed as "Self-defense"